ROCHESTER — Almost 60 years ago, this upstate city finished digging a deep trench for a highway bypass, a lauded effort to help speed residents out of the central city and into its suburbs. Today, Rochester is effectively burying that 20th-century devotion to vehicle efficiency and committing the old highway’s right of way to the city’s recovery. 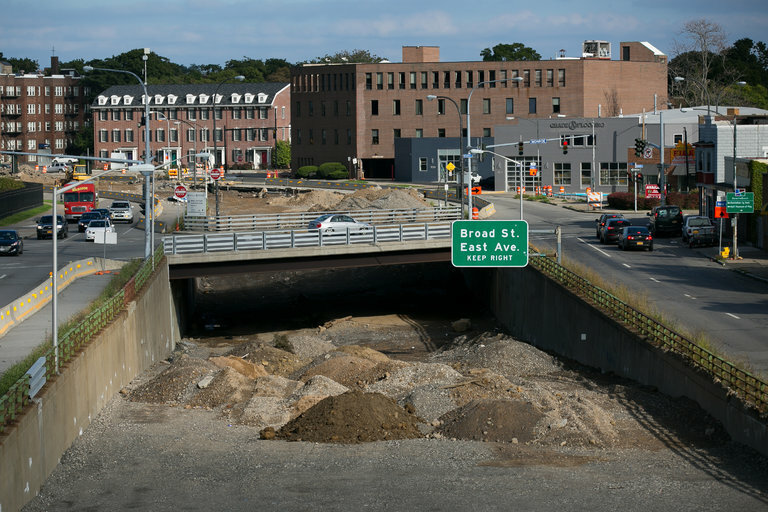 Rochester is completing a $23.6 million project that fills in almost a third of the 2.7-mile sunken highway and replaces it with an at-grade boulevard and nearly six acres of prime land for development. 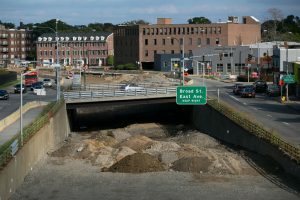 Though cities like Boston, San Francisco and New York have removed elevated and surface highways, decisions that cleared the way for housing and office construction, leaders here say Rochester may be first to fill in a section. The project fits the city’s effort to focus on pedestrians and establish vital neighborhoods for housing, expanding businesses and producing jobs.